PREREQUISITE: None. Placement test required prior to enrolment. Please visit the online test site and enter the code: port_placement_2014. DESCRIPTION: This course is designed for absolute beginners, with no formal training in Portuguese. The course introduces the Portuguese language within its cultural contexts worldwide, including European and Brazilian Portuguese. The skills of listening, speaking, reading and writing are emphasized. This course offers a wide range of multimedia learning platforms as well as experiential learning activities. Students acquire a functional competence in elementary written and spoken Portuguese. FORMAT: Four class hours weekly. (including activities in the Multimedia Language Centre). 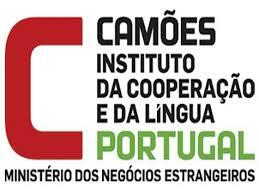 DESCRIPTION:This course is intended for students who have some oral and written knowledge of Portuguese and who wish to improve their command of the language within its cultural contexts worldwide. This course includes European and Brazilian Portuguese variants. Further development of speaking, listening, reading and writing skills; additional study of grammar; vocabulary building. This course offers a wide range of multimedia learning platforms as well as experiential learning activities. FORMAT: Four class hours per week (including activities in the Multimedia Language Centre). DESCRIPTION: This course presents a thematic overview of Luso-Brazilian Cultures and Cinema productions ranging from early civilization, nation building and colonialism to modern cultural diversity and emerging world powers. FORMAT: Three classroom hours per week. EVALUATION: Two essays – 30%; one oral reports – 20%; two tests – 30%; participation – 20%. TEXTS: Birmingham, David. A Concise History of Portugal (Second Edition). Cambridge; Cambridge University Press, 2003. Xeroxed materials (course kit). DESCRIPTION: This course offers students a more in-depth development of communicative skills, namely, the ability to listen and to communicate in different contexts, to read according to different purposes and to write several texts in standard Portuguese – including the European and the Brazilian variants. Students acquire an advanced level of competence in order to (inter)act in a range of domains of language in daily situations. The course also addresses wide cultural contexts representative of the entire Lusophone world with enhanced experiential learning activities and multimedia learning platforms. Special attention is given to subtler points of grammar, idiomatic and context specific language, as well as thematically structured vocabulary. TEXTS: Pedro Sena-Lino, Maria João Manso Boléo. CIDADES DO MAR - NÍVEL B1 (livro e caderno de atividades). Porto Editora. ISBN 978-972-0-17150-4. DESCRIPTION: Focusing on the works of Gil Vicente and Camões - particularly his Os Lusíadas - this course explores the development of 16th-century Portuguese literature. PREREQUISITE: AP/POR 2000 6.0, or permission of the instructor. Course credit exclusions: None. PRIOR TO FALL 2009: Prerequisite: AP/POR 2000 6.0, or permission of the instructor. Course credit exclusion: AP/POR 3500 3.0. DESCRIPTION: Through various literary works and films, this course explores the ideological, economic and social changes that occurred in Portugal following the April 1974 Carnation Revolution. PRIOR TO FALL 2009: Prerequisite: AP/POR 2000 6.0, or permission of the instructor. Course credit exclusion: AP/POR 3600 6.0. DESCRIPTION: This course presents the unique literary production in the Portuguese Atlantic islands of the Azores within its cultural context. The themes of identity, isolation and migration give students an understanding of this archipelago's distinct identity. PREREQUISITE: AP/POR 2000 6.0 or permission of the department. PRIOR TO FALL 2009: Prerequisite: AP/POR 2000 6.0 or permission of the department. Course credit exclusion: AP/POR 3640 3.0. DESCRIPTION: This course presents cannibalism as a fundamental category in the understanding of Brazilian culture and identity. The theme is explored from colonial times to present, especially the contributions of the Brazilian Modernist movement and New Cinema (Cinema Novo). This course focuses on the significance of the Mozambican short-story in defining a national literary tradition. It is based on historically and socially contextualized readings of Mozambican short stories. Note: Students are given the option of writing their essays in Portuguese or in English. Course credit exclusions: None. PRIOR TO FALL 2009: Course credit exclusion: AS/POR 3660 3.0. DESCRIPTION: This course introduces students to the literary representations of heroes, marvels, monsters and beauties in Portuguese literature. It analyses the nature and extent of these themes in different epochs and in relation to the country's historical, cultural, and ideological realities. DESCRIPTION: A student may take an independent, individually supervised reading/research course, provided that the student and the course meet the requirements as set out by the Faculty of Liberal Arts and Professional Studies and those established by the department. Note: Independent reading/research courses require a signed agreement between the student and faculty member, as well as the approval of the section coordinator and undergraduate director. Note: Please consult the Faculty of Liberal Arts and Professional Studies Academic Advising and Student Responsibility section of the calendar for detailed regulations regarding independent reading courses. Course credit exclusions: None. PREREQUISITE: AP/POR3000 or AP/POR2000 6.00 with a minimum grade of “B” or permission of the Department. DESCRIPTION: This advanced Experiential Education language course engages students in a learning process blending theory and coursework with practical, hands-on, real-life experience. Students refine their language skills, especially those specific to professional environments. The experiential education component enables students to participate in a wide variety of community-based projects assigned by the community partner in consultation with the instructor. DESCRIPTION: This course explores the prose and dramatic works of José Saramago, Portugal's leading 20th century author. PRIOR TO FALL 2009: Prerequisite: AP/POR 3000 6.0. Course credit exclusion: AP/POR 4610 3.0. DESCRIPTION: Through the 16th century literature of Luis de Camões and the 20th century literature of Fernando Pessoa, this course explores two high points in Portuguese literary development as well as the development of Portugal as a nation. DESCRIPTION: This course explores the literary works of Brazilian Northeast novelists with emphasis on Jorge Amado, Brazil’s best selling author. Other writers include Graciliano Ramos and Rachel de Queiroz. Several films and television series inspired by the northeast novelists are also considered. DESCRIPTION: A student may take an independent, individually supervised reading/research course, provided that the student and the course meet the requirements as set out by the Faculty of Liberal Arts and Professional Studies and those established by the department. Note: Independent reading/research courses require a signed agreement between the student and faculty member, as well as the approval of the section coordinator and undergraduate director. Note: Please consult the Faculty of Liberal Arts and Professional Studies Academic Advising and Student Responsibility section of the calendar for detailed regulations regarding independent reading courses. PRIOR TO FALL 2009: Course credit exclusion: AP/POR 4900 3.0.